Like many other web browsers, Edge does offer the ability to save passwords within the browser. When using the browser as a password manager, you don't have to manually enter the password over and over again every time you sign into your online account. This is good for the most part. However, when you change the password of your online account, Edge cannot detect the change for obvious reasons. As a result, Edge cannot auto update the old password to new password. The same is true for the saved usernames in Edge. 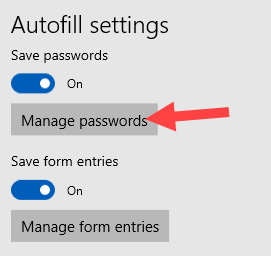 Since there is no auto-update feature, you have to manually update saved passwords in Edge everytime you change the password. Of course, you can avoid all this if you are using a real and dedicated password manager like KeePass, LastPass, Enpass, etc. But, that's for another article. If you are stuck using the browser as your password manager then there is no need to fret, you can easily change saved password in Edge. Here's how to do it. Just like with Google Chrome and Firefox, you can easily edit, update, or manage password saved in Edge browser with just a few clicks. However, it is buried deep inside settings. To make matter worse, there isn't any search feature to quickly search and open various settings. But, don't worry, here I am to guide you through the procedure. 1. 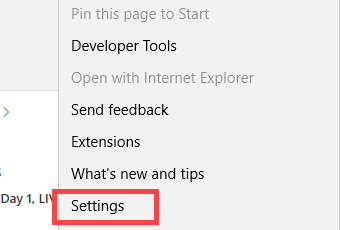 To start off, click on the Menu icon (three horizontal dots) appearing on the upper right corner of the browser and select the option "Settings" from the list. 2. 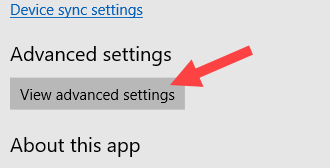 In the settings panel, scroll down and click on the "Advanced Settings" button. 3. Now, scroll down until you see the "Autofill Settings" section. Here, click on the "Manage Passwords" button. 4. Edge will now show all the saved passwords. Find the account for which you want to change the saved password and click on it. 5. Now, enter your new password in the Password field and click on the "Save" button. If need be, you can even change the saved username by editing the "Username" field. That's it. You've successfully updated saved password in Edge. 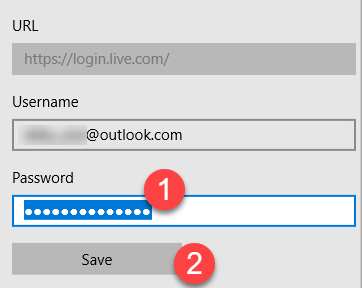 All in all, it is very easy to edit saved passwords on Edge. You just need to go through different settings. However, for better usability and security, I recommend you use some sort of password manager. For storing all your passwords offline, you can use a free and open-source password manager called KeePass. Though it is a completely offline password manager, you can sync it using cloud services like OneDrive, Dropbox, Google Drive, etc. There are also third-party extensions and mobile apps for you to access saved passwords on other devices. If you don't want to go through all that, then try Lasspass or Enpass. Both services are free to some extent and support automatic syncing between all your devices. Did you know that Groove has built-in equalizer feature buried within its settings? Here's how to use the equalizer in Groove music. Hope that helps. Comment below sharing your thoughts and experiences about using the above method to edit saved password in Edge browser.